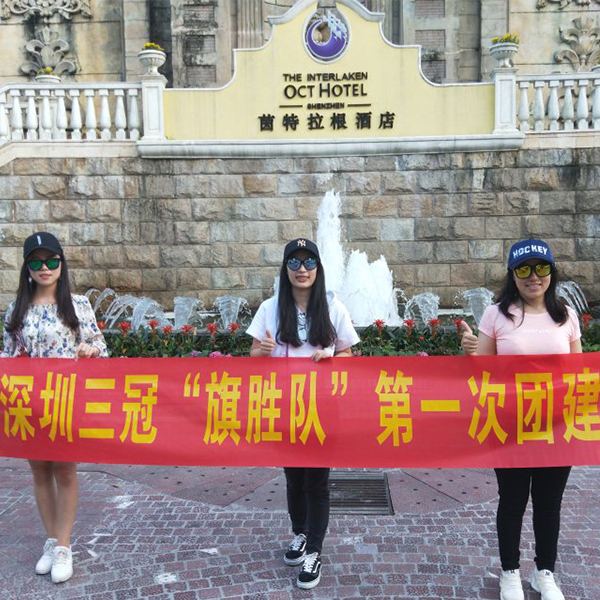 ShenZhen Sanguan Technology Co., Ltd, in order to encourage sales can make more order, and hold a PK competition, all sales are divided to many small teams, Named “QiSheng team”three group members got the team crown and got tourism fund tourism fund on 19, may. They had a chance go to East Overseas Chinese Town OCT. They said, “How happy the weekend, it is a very interesting active”, 1, the make effect to come true the goal and make more money. 2. After they got the good result and travel and enlarger their sight. “Thanks Sanguan company give them so good opportunity, hope company have more activity like this, they will have more passion to work and enrich their life.